At our house, fall is full of occasions to celebrate. Not only do we soak up Halloween and Thanksgiving festivities, but we love partying in honor of two family birthdays. This means one thing: lots of family get-togethers. I always enjoy filling these parties with fun fall food choices. Looking for a delicious and festive treat to bring to your next fall party? This Pumpkin Pie Fruit Dip is sure to be an instant crowd favorite. I received samples and compensation in exchange for this post. See below for additional details. 1. Soften your cream cheese in the microwave. 2. Combine cream cheese, pumpkin pure, whipped cream, and Yoplait Greek 100 in a bowl. Mix until smooth (make sure there aren’t any cream cheese lumps). 3. Add pumpkin spice, sugar, and vanilla. 4. Mix until smooth. If desired add chocolate chips (I prefer milk chocolate) and sprinkle with additional pumpkin spice. 5. Serve with strawberries, apples, graham crackers, wafers, or other favorite dipping foods. 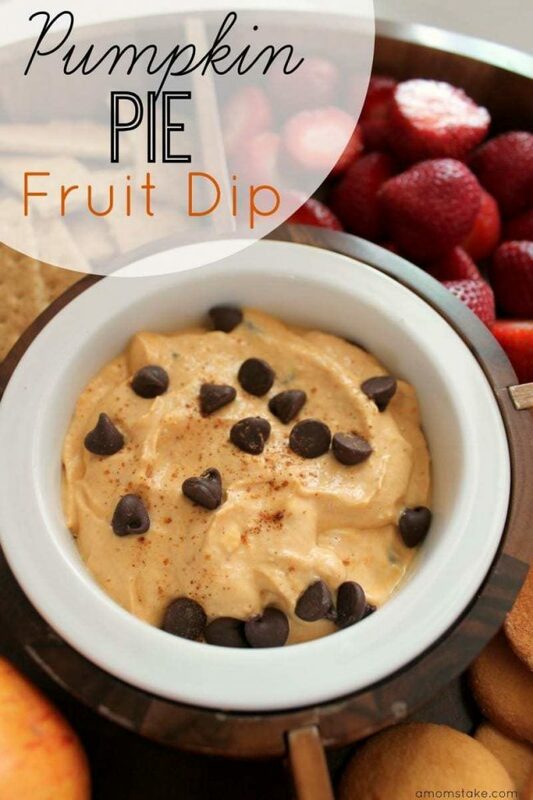 Last weekend, we served this delicious Pumpkin Pie Fruit Dip at a family party; it was a hit. Our guests loved the dip’s fresh pumpkin taste and smooth and creamy texture. Want to know the secret behind the creaminess? Vanilla Yoplait Greek 100. 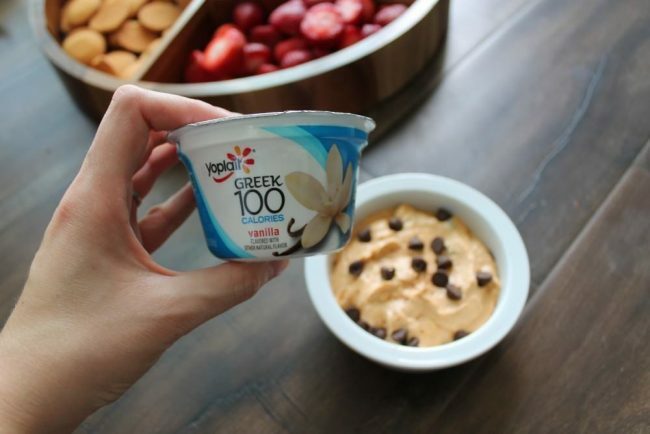 Flavored with natural flavors and only 100 calories per serving, Yoplait Greek 100 adds the perfect touch to every bite of pumpkin pie fruit dip. 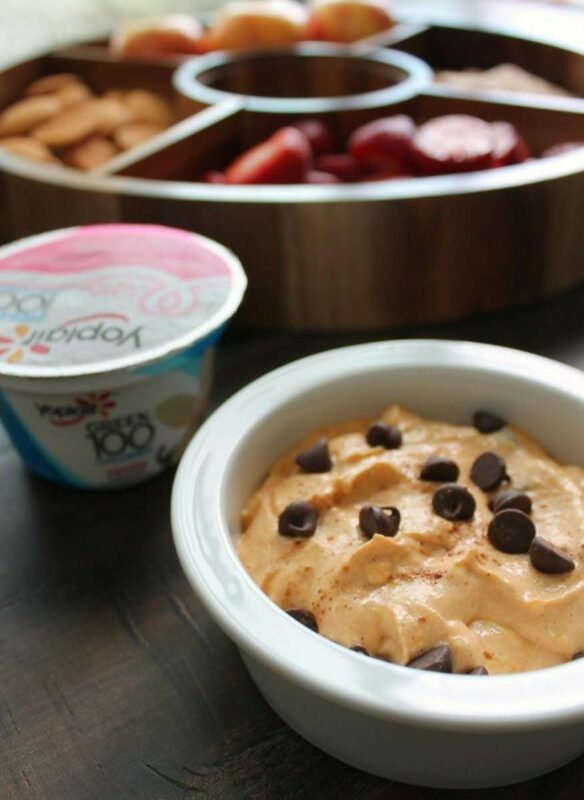 What’s your favorite way to snack with Yoplait? Next, try our Fruity Pebbles Breakfast Parfait. Great for all of those pumpkin lovers out there. Thanks for sharing on the #HomeMattersParty this week. I hope you join us next week. Omg this looks amazing. Im such a dip snob. Great to have anytime of the day. Casual or for a party. Thanks for sharing your recipe. 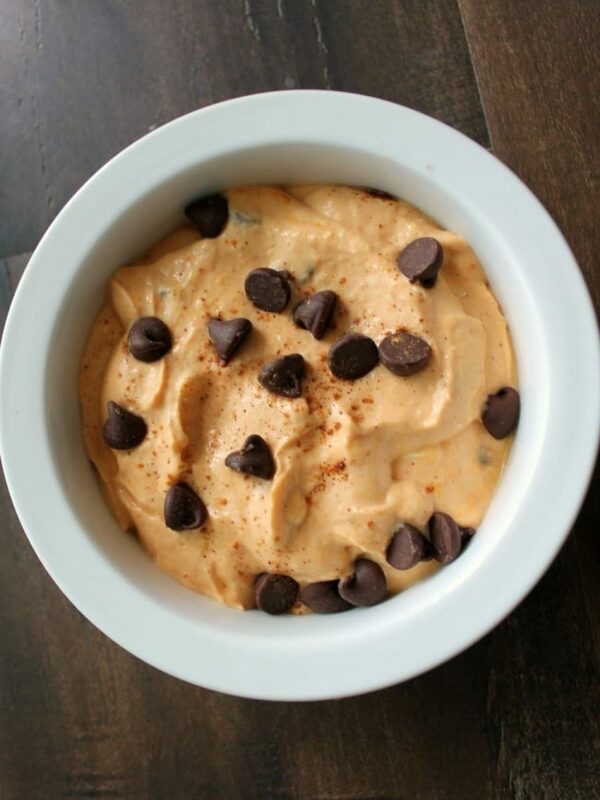 This Pumpkin Pie dip looks so delicious and easy to make. I love all the great pumpkin recipes this time of the year. My sister is known for her creative dips and this one looks perfect for fall. I bet it is fantastic with apples and graham crackers on the side. Who doesn’t love pumpkin. This looks so yummy. I will have to try it out. This would be dangerous for me to make. I would eat the dip in one sitting and then do it again! I LOVE pumpkin things! Might have to try this anyway, it looks too good not to try! This sounds so good. I love anything pumpkin and will definitely be trying this.